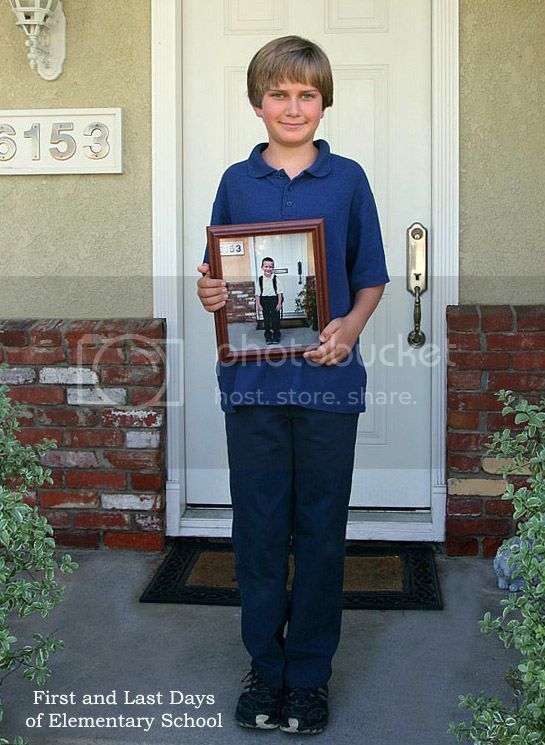 This was such a great idea to have him hold the first day photo. You can really see how he has grown. Such a great picture! What a sweetie! This is a FANTASTIC idea...I am going to do this with my niece and nephews! Wonderful photo and congrats on the Graduation! So LOVE the idea of a photo of the child holding a photo of their first day! This is such a great idea!! It turned out so cute! Love the photo with a photo! This is such a great idea. I need to do this!